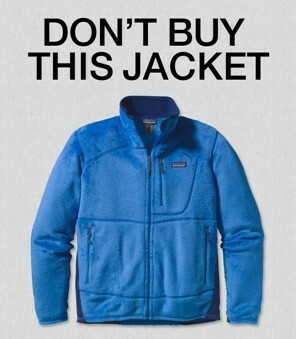 Textile industry and water pollution – brought to you by some of your favorite retailers. In 2011 Greenpeace published two reports: one investigating the discharge of hazardous substances from textiles manufacturing in China linked to major clothing and sportswear companies (Dirty Laundry), and another detailing the presence of NPEs in clothing and footwear of 15 leading brands (Dirty Laundry 2: Hung Out to Dry). With the publication of these reports Greenpeace challenged global brands to eliminate all releases of hazardous chemicals from their supply chains and products by 2020. The man-made chemical by-products of the textile industry are shown to have long-term effects on the environment and potentially devastating impacts on human and animal life. Furthermore, when testing clothing from 15 corporate brands, Greenpeace found that the chemicals used in the textile production process continue to be released when contaminated clothing is purchased and washed by consumers across the world. These tests demonstrate the truly global danger posed by these toxic chemicals as they are released into rivers and water sources from the point of production to the consumer. 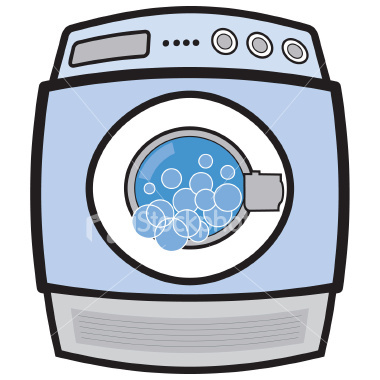 I don’t know why there is not an outcry about the clothing which is continuing to contaminate washwater – doesn’t it occur to people that clothing contains chemicals which are being absorbed by our skin and causing us harm? 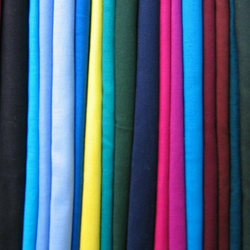 For that matter, think about the fabrics we subject ourselves to intimately every day, like sheets and towels. Where is the disconnect here? Greenpeace’s Detox Campaign is helping create a greener economy by challenging major global brands to rid their textile production processes of hazardous chemicals. The Detox Campaign has already successfully demonstrated the power of grassroots activism and social media in pressuring corporations to clean up their production practices. Only months into the Detox Campaign, major retailers H&M, Puma, Adidas and Nike committed to eliminating discharges of hazardous chemicals across their supply chains by 202; most recently Marks & Spencer joined the group. In addition to pressuring corporations to adopt greener production practices, Greenpeace is pursuing legislative changes within the textile industries in several Asian countries and the European Union in order to protect rivers and the communities and ecosystems they support. Can it be an organic fabric if it uses synthetic dyestuffs? At the International Federation of Organic Agriculture Movements (IFOAM ) Congress in February, 2011, Ann Shankar from Biodye India, a company that produces natural dyes based on wild plants, made a provocative suggestion – that the term “organic textile” is not an accurate description of any textile where synthetic dyes and auxiliaries are used. The Global Organic Textile Standard allows the use of synthetic dyestuffs ( which are made from unsustainable sources and are not biodegradable). 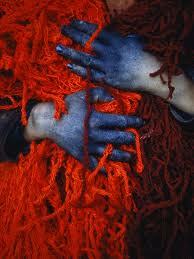 She suggests that a separate category for such textiles be called “organic fibers with responsible synthetic dyes”. According to Ann, even if it takes another couple of years for anyone to be able to claim a fully organic supply chain that would warrant the name ‘organic textile’ it should exist as a goal. Until then, natural dyes and auxiliaries (definitions by GOTS) should be given a separate standard such as ‘Organic fibers with natural dyes’ – a term separate but equal with the label for synthetic dyes. She said that her company has recently overcome the technical difficulties often associated with using natural dyestuffs, especially at an industrial level. Biodye is not the only company which produces dyestuffs from organic material which can be used for manufacturing; Rubia Natural Colors also has developed dyes in the red range from madder. The Central Pollution Control Board (CPCB) in India categorizes process waste sludge from synthetic dye production as hazardous, yet has no norms for proper disposal. The result is that solid waste is stacked in any available space, on riverbanks and roadsides, where it leaches back into the water or soil. Impurities include toxic aniline and N-methylaniline residues. Not biodegradable – incineration is the only recommended means of disposal. Toxic to daphnids and algae. Small creatures do not live around the rims of fermentation vats containing synthetic indigo, nor can a frog survive a dip in the vat. Called “nature identical” by chemists. Dye is made in the leaves of the plant Indigofera. Biodegradable. If natural indigo ceases to be added to a natural fermentation vat, it loses its power to dye within 75 days. A sour vat will consume the indigo within 15 days. Biodye uses no toxic mordants and treats its waste water so sludge is available as fertilizer and water can be used as irrigation. I just don’t know what it takes to change people’s habits. We need a huge wake up call about the disastrous state of our oceans! 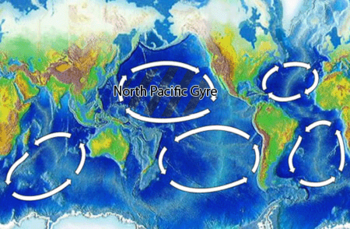 Our oceans are our life support system. And they’re in trouble. Because this is a blog about textile issues, I wanted to remind you that the textile industry is the world’s #1 industrial polluter of fresh water. So remember that each time you choose a fabric that has been processed conventionally, in a mill which does not treat its wastewater, you’re adding to the problem. We’re all downstream. And please also remember that a fabric marked “organic cotton” – though decidedly better than conventional cotton – is still a fabric which is 27% synthetic chemicals by weight, processed at a mill which returned the untreated, chemically infused effluent to our oceans. People once assumed that the ocean was so large that all pollutants would be diluted and dispersed to safe levels. But in reality, they have not disappeared – and some toxic man-made chemicals have even become more concentrated as they have entered the food chain. 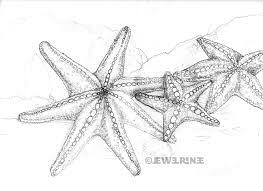 Tiny animals at the bottom of the food chain, such as plankton in the oceans, absorb the chemicals as they feed. Because they do not break down easily, the chemicals accumulate in these organisms, becoming much more concentrated in their bodies than in the surrounding water or soil. 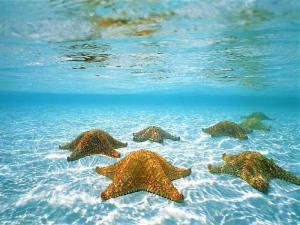 These organisms are eaten by small animals, and the concentration rises again. These animals are in turn eaten by larger animals, which can travel large distances with their even further increased chemical load. Animals higher up the food chain, such as seals, can have contamination levels millions of times higher than the water in which they live. And polar bears, which feed on seals, can have contamination levels up to 3 billion times higher than their environment. Some scientists describe the chemical change in the ocean as throwing evolution into reverse: the chemical composition is going back toward the “primordial soup,” favoring the simplest organisms – indeed, algae, bacteria and jellyfish are growing unchecked – and threatening or eliminating the more complex. There are so many jellyfish in the ocean that many fisheries have given up their normal catch and are just harvesting jellyfish. Clickhere to view Jellyfish Gone Wild by the National Science Foundation. In fact, according to a report published in the Los Angeles Times, these most primitive organisms are exploding: it’s a ‘rise of slime’ as one scientist calls it. It’s killing larger species and sickening people. A Los Angeles Times report in 2006 (click here to read the entire article) sounds like something from a horror movie: A spongy weed, reported to grow at 100 square meters per minute – literally fast enough to cover a football field sized area in an hour – has been plaguing fishermen in Australia. The culprit, it was found, is a strain of cyanobacteria known as Lyngbya majuscula, an ancestor of modern-day bacteria and algae that flourished 2.7 billion years ago. It has since shown up in at least a dozen places around the globe. It thrives in oxygen depleted water. Once established, Lyngbya creates its own nitrogen fertilizer from decaying parts of the plant. Many fishermen in Moreton Bay avoid working in the four months every year that Lyngbya clogs their waters because it is highly toxic to them. When fishermen touch it, their skin breaks out in searing welts. Their lips blister and peel. As the weed blanketed miles of Moreton Bay over the last decade, it stained fishing nets a dark purple and left them coated with a powdery residue. When fishermen tried to shake it off the webbing, their throats constricted and they gasped for air. After one man bit a fishing line in two, his mouth and tongue swelled so badly that he couldn’t eat solid food for a week. Scientists in labs studying the bacteria couldn’t even be in the same room with it, the smell was so pungent. It’s like “The Blob” come to life. And to add insult to our ocean’s injury, the number of dead zones – where there is so little oxygen only microbes can survive – has doubled every 10 years since the 1960s . In 2008, there were 400 dead zones . So does that make you worry? It should. This is an example of what mathematicians call “exponential growth”, and it’s the kind of thing that doesn’t really impact us until we’re about to be kicked in the teeth. To demonstrate the concept, there is an old story about a king who was presented with a gorgeous handmade chessboard by one of his subjects. The king was delighted, and asked what the man wanted in return. The courtier surprised the king by asking for one grain of rice on the first square, two grains on the second, four grains on the third etc. The king readily agreed and asked for the rice to be brought. But there was not enough rice in the world to fill the courtier’s request (see note below) – the total amount of rice required would be 18,446,744,073,709,551,615 grains of rice. This is about 460 billion tons, or 6 times the entire weight of the Earth’s biomass. This concept has even led to the phrase “second half of the chessboard”, which refers to a point where an exponentially growing factor begins to have a significant impact. So this news about the ocean dead zones – you might think that a dead zone the size of the state of Oregon is no big deal, but the area is growing exponentially. How many years do we have until we reach the second half of the chessboard? The total number of grains of rice on the first half of the chessboard is 1 + 2 + 4 + 8 + 16 + 32 + 64 + 128 + 256 + 512 + 1024 … + 2,147,483,648, for a total of exactly 232 − 1 = 4,294,967,295 grains of rice, or about 100,000 kg of rice, with the mass of one grain of rice being roughly 25 mg. The total number of grains of rice on the second half of the chessboard is 232 + 233 + 234 … + 263, for a total of 264 − 232 grains of rice. This is about 460 billion tonnes, or 6 times the entire weight of the Earth biomass. On the 64th square of the chessboard there would be exactly 263 = 9,223,372,036,854,775,808 grains of rice. 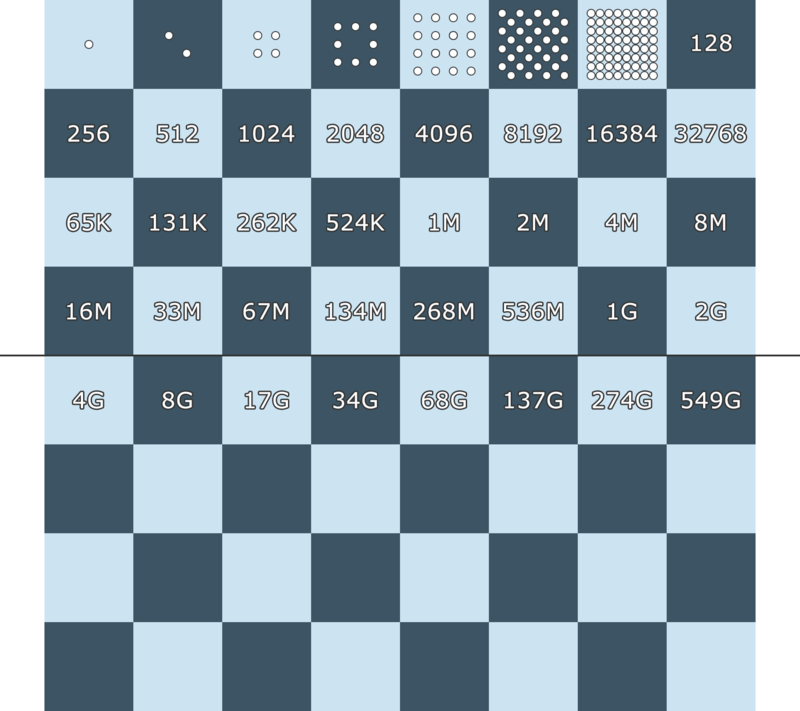 In total, on the entire chessboard there would be exactly 264 − 1 = 18,446,744,073,709,551,615 grains of rice. Diaz, Robert J., and Rosenberg, Rutger, “Spreading Dead Zones and Consequences for Marine Ecosystems”, Science, August 2008.